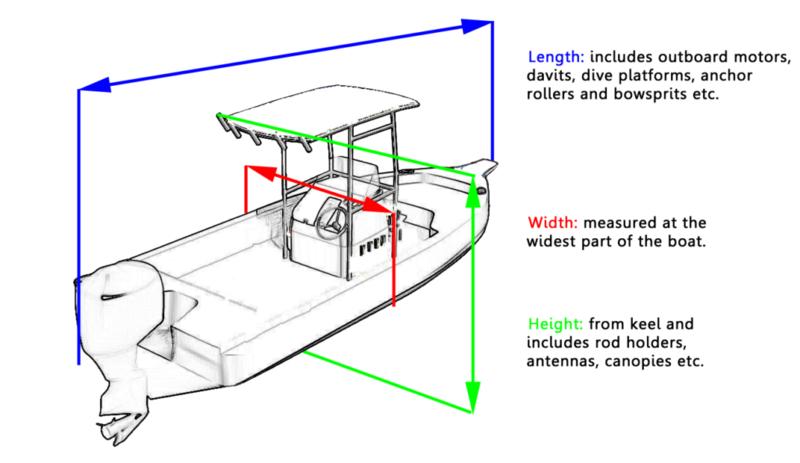 To help us provide you with an accurate quote for boat storage, please measure your vessel as shown in the diagram below. 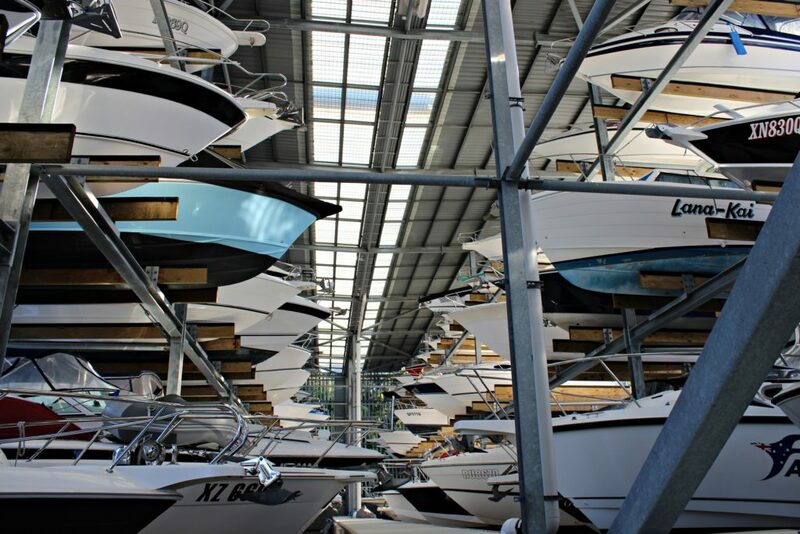 East Coast Marina’s state of the art boat storage facility is the only one of its kind in Brisbane. It’s like valet-parking for your boat. The modern storage facility stores 240 power boats up to 10 metres in length, large boats with fly bridges will be accommodated in our high bay facility. When it comes to looking after boaties from Brisbane and beyond, this unique undercover dry rack boat storage facility is second to none. It’s fully secured with card key access and 24/7 CCTV surveillance and the ability to launch and retrieve power boats of various shapes and sizes with incredible efficiency. Customers can ring ahead, and the East Coast Marina team will have their boat ready and waiting for them in the water by the time they arrive. On return after their day on the water, our staff will lift the boat, wash the hull down and flush the motor before returning it to secure dry storage. The hull wash and engine flush service is included in the rates. Our boat storage facility is also environmentally sustainable using recyclable rain-water harvesting for boat washing, motor flushing and landscape irrigation. Sewerage pump out and disposal, and grey water recovery and treatment has also been provided. East Coast Marina is perfect for all Brisbane residents who may not have room for their boats or don’t want to tow through traffic. 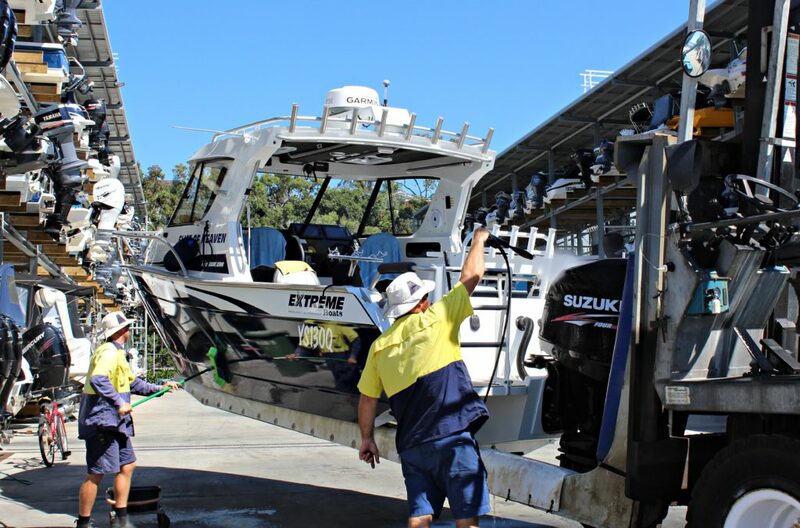 It’s also ideal for those further away looking for boat storage and a convenient launching place to explore Queensland’s waterways and beautiful Moreton Bay.